Sandy River winter steelhead fishing has been very productive since January’s high water event. This keeper was taken in the lower Sandy River below Dabney State Park on a 1/8 oz. First Bite cerise & white jig fished under a West Coast float. While many anglers remember Thanksgiving as the traditional kick-off to winter steelhead season, the switch to a broodstock program has resulted in a later returning stock of fish. Success in February and March is also helped by a reduction in angler pressure as a number of people will switch their efforts over to the Columbia and Willamette Rivers as spring chinook salmon start to show up. 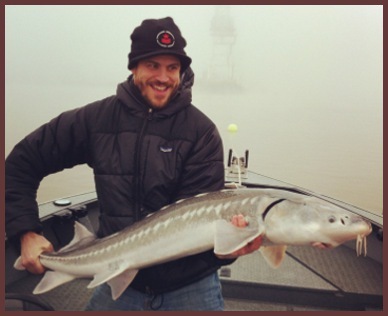 You are currently browsing the Sky's Guide – Pacific Northwest & Oregon Guided Fishing Trips | Salmon Fishing, Steelhead Fishing, & Sturgeon Fishing blog archives for February, 2012.